Remaking old games or revitalising old franchises is an appealing prospect for developers, as amongst other reasons, to allow an old game to be playable by a new generation of players on modern hardware, and can be less work than starting a new game from scratch. However, not every old game can get by with a simple remake, and when large-scale changes are made to an existing product, there is also the danger of losing some of the merits of the original that warranted the remake. In some cases, the original gameplay and/or story is strong enough to stand without changes, and updates can be largely cosmetic, and in other instances, new content can be added to supplement the existing game. 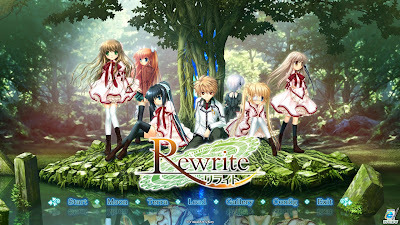 Rance 01 is a unique case, as none of the original game's features are good enough by the standards of modern eroges to stand on their own, but as the series that originated from this game has maintained a lasting popularity over 24 years, in order for a remake of Rance 1 to be successful, what was necessary, was a complete rewrite of the game from the ground up. 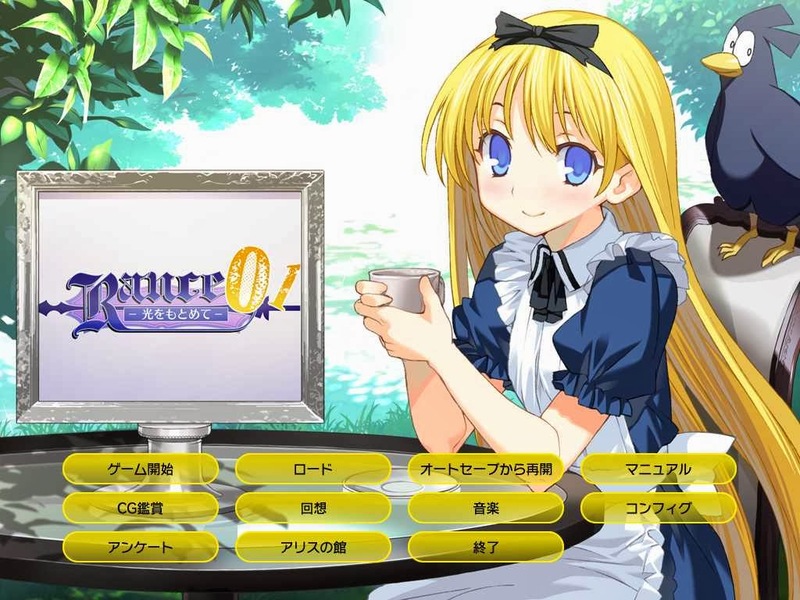 Rance 01 is a remake of a 1989 eroge Rance - Hikari wo Motomete, commonly referred to as Rance 1. The game's package release was limited to pre-orders, but it is available for download purchase on various stores, including dlsite. The original Rance 1 has been released by Alice Soft for free download on the Alice Soft Archives. Eroge typically covers similar genres to other Japanese popular culture media (such as animation, manga and light novels,) although some genres happen to appear more rarely in certain media than others. Mecha is probably one for eroge as there are relatively few titles that fit. Hence any mecha eroge is automatically going to attract a certain degree of attention simply due to novelty factor - but it's a double-edged sword as the genre also attracts certain expectations that may or may not be met. Sousei Kitan Aerials is a 2012 mecha eroge released by AkabeeSoft3. The sole scenario writer for the project was Inoue Keiji, who also wrote the scenarios for Elf's acclaimed Ashita no Yukinojou series and, more recently, Artemis Blue. Although the scenario writer is almost always the most important determining factor in the overall success or failure of an eroge, in terms of the number of sales (particularly preorders), the artist has the biggest individual role. Many consumers will purchase an eroge solely because of the art style and/or one of their favourite artists is working on it. As a result, there's the temptation by some companies to avoid putting similar effort into recruiting a writer of equal ability to the artist and structuring an effective plan for the scenario, as it may have little effect on the sales. Often, these so-called 'art' games also feature an ordinary 'default' setting with a slight twist to set their game apart, without making a significant attempt to innovate or depart from a default 'school' setting. 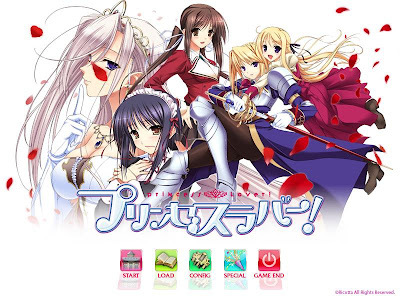 In the case of Princess Lover, the focus of this review, this is the high society setting and characters, whereas others might use a trap protagonist, unusual club activities or a few magical or supernatural elements/heroines. Expectations are a funny thing. When something is announced so far in advance of its actual release date, you get a lot of time to anticipate what it will be like. The slow trickle of details only serves to further excite your curiosity and your mind automatically starts to fill in the gaps of the information you don't have. You end up imagining, in some detail, what the game will be like before it's even been released. Afterwards, the actual game is released and of course it's not what you imagined. It's funny what expectations can do to your impressions of a game. Kanno Yukihiro is largely famous for his C's Ware games like DESIRE and EVE, and for his later title, elf's highly regarded YU-NO. For the latter title especially, he has been regarded by many as one of the greatest eroge scenario writers ever, if not the greatest. Beyond those, he's also eked out a number of respected titles for Abel Software, like the Mystereet games. Going back to Abel Software, in 2009 they had been dormant for several years (minus a couple of spinoff games/rereleases), with Kanno's latest title, Mystic Quest, in the pipeline since 2005 (for reference, 4 years of development is an incredibly long time for eroge.) Mystic Quest was released, and it would surprise fans and non-fans alike as never before. And how. Although two eroges would generally warrant two separate reviews, even if the games are sequels of each other, Black Cyc's Mugen Kairou (2005) and Mugen Kairou 2 ~Rasen~ (2009) are so closely related that one cannot discuss one game without referring to the other. This review will not discuss Mugen Kairou 1.5 (2009), as I have not played it due to it originally being a Cyc Members only product. It also received poor reviews, and was written by a different author, so I am still likely to ignore it if it is made available on dlsite or elsewhere. 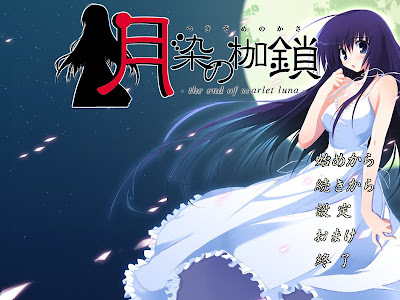 While time loops, time travel and other time related themes are by no means standard methods of eroge storytelling, they are utilised far more frequently in eroges than in most other media. This format is well suited to eroges, as the combination of written and visual elements, allow the story to for example maintain the same visual elements, whilst alterting the text, emphasising the role of time without the need for outright repetition. Although Yumemishi's time device (experiencing one day twice, the first time as a dream, the second time as reality) is slightly less sophisticated both in scope and execution than some other eroges, the scenario writer Kimura Koroya's (Yumemi Hakusho, Tropical KISS, Choujikuu Bakuren Monogatari ～door☆pi☆chu～ and one of the writers for the upcoming Steal My Heart ~ Rhapsody of moonlight~) use of it is still highly effective, and despite the great characters and strong writing, Yumemishi isn't nearly as well known as it deserves to be. I'm a little bothered by the idea of writing this review. The original idea of this site was to talk about eroge that has never really been in the limelight. Subarashiki Hibi does not seem to fit into that category by anyone's standards. On the other hand, as there has not been much reviewing activity on the English side about this game, it feels a bit off to just let it slip into obscurity in that fashion. It is difficult to review a game like this. There is a lot to say about it, certainly, but the trick is finding the balance between saying too little and saying too much, especially considering that a portion of the enjoyment derived from reading this title is owed to the mystery surrounding the story. For this reason I do not want to spoil the game for others who may read it, even if they have to wait five or ten years. On the other hand, I know that when a title I have been looking forward to comes out I completely avoid all media surrounding it just to avoid the slightest chance of tarnishing my experience of the game - because that's one of the things I love about a new eroge - the sheer process of discovery, because it almost feels as if the story could turn out to be anything. I assume that most people like me aren't even reading this review if they haven't yet played the game, so I will freely introduce characters and outline chapters. So, here we go! To people like myself who follow scenario writers, one of the attractions to playing titles created by writers you know is that you typically have a good idea of the overall level of quality you're going to find in the story. A particularly good writer can even influence you to get an eroge that has a story that doesn't appeal to you, characters that don't really interest you and art that doesn't grab your attention. On the other hand, once you become familiar with a certain scenario writer's work, they tend to lose their ability to surprise you - you start expecting a certain level of quality, rather than hoping for it, and are disappointed if you don't get it. New writers, on the other hand, are a blank slate. On one hand, they probably don't have much experience in the eroge writing field (and most eroge writers do get better over time) and the quality of the story may suffer as a result. On the other hand, you have no idea how good (or bad) they are and can't help but be surprised if the story actually turns out to be good (or great!) This is why it's often exciting to play an eroge written by a new scenario writer, particularly if the story seems a bit unusual. 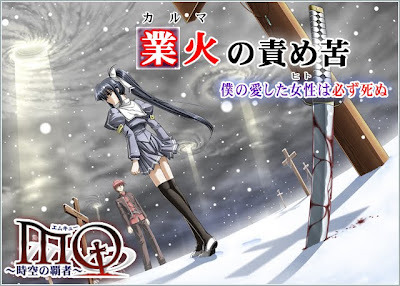 Tsukisome no Kasa is an eroge released in January 2010 by new brand Hiyoko-soft. All three scenario writers are new to eroge scenario writing (the main one actually worked on the artwork for MOON STONE's Ashita Deatta Shoujo).